Wilson Library’s interior is the most opulent on campus, with leather-covered doors and wood-paneled walls. Its spacious foyer has imitation stone columns and marble floors. 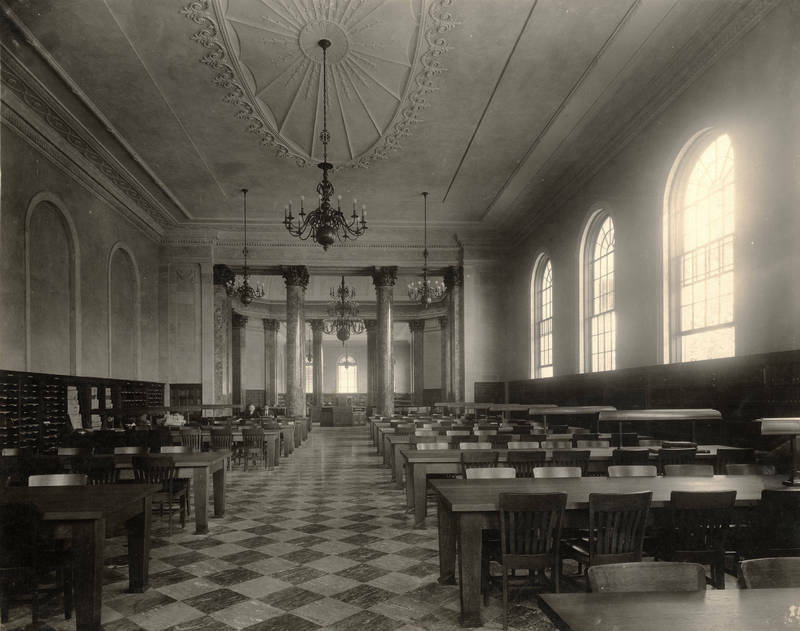 The large reading room on the second floor (now the Rare Book Collection) has wall shelving around its entirety, and a central circle of faux marble columns. These columns support the dome and have black marble bases and capitals covered in gold leaf. The room is lit by large windows and brass chandeliers, one of which hangs under the dome. Wilson Library now houses the library’s special collections of manuscripts, rare books, photographs, and North Carolina material.